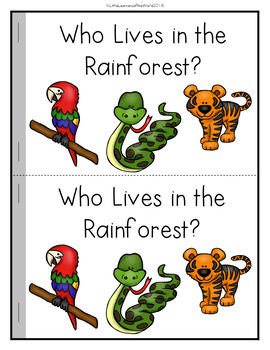 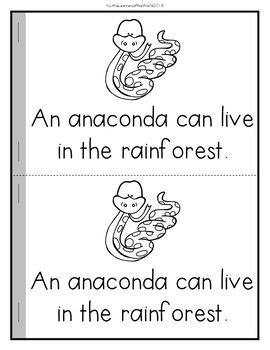 This rainforest animal themed emergent reader is a fabulous addition to your study of arctic animals. 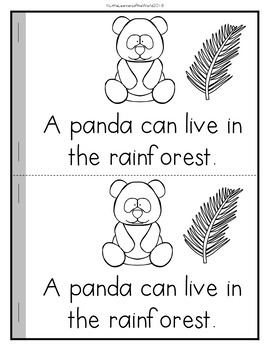 The sight words are "a, an, this, can, in, the." 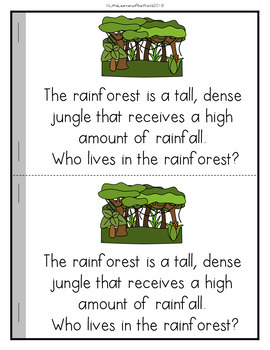 The high frequency word is "arctic"
Vocabulary words include: rainforest, anaconda, ant, butterfly, gorilla, orangutan, panda, parrot, piranha, tiger, toucan, and tree frog.